I don’t know why but I never thought I’d get to a week overdue… Everyone tells you that your second usually comes early. It’s a weird feeling going overdue… I’m bored but too tired to do anything, now been off for 4 weeks already! I also think my anxieties seem to go up… I just want him out and to know he’s ok!! Since the last update I’ve spent about 12 hours in hospital… Every appointment seems to cause us new drama! Thursday (40+2) – went to the consultant clinic. I had to wait over an hour and a half before they even did my BP/urine check… And the WIFI was broken so I couldn’t even watch the Wales vs England football game! So it wasn’t any surprise that my BP was through the roof (160/110) by the time I got in there! Cue getting sent straight upstairs to the assessment unit and a fair chance that I’d get induced that night.. But by the time I was settled in there my BP was ok and after waiting a few hours to see the doctor, she asked my thoughts on induction and I said I’d rather try a sweep which is what they did. 6 hours after arriving and I was home! 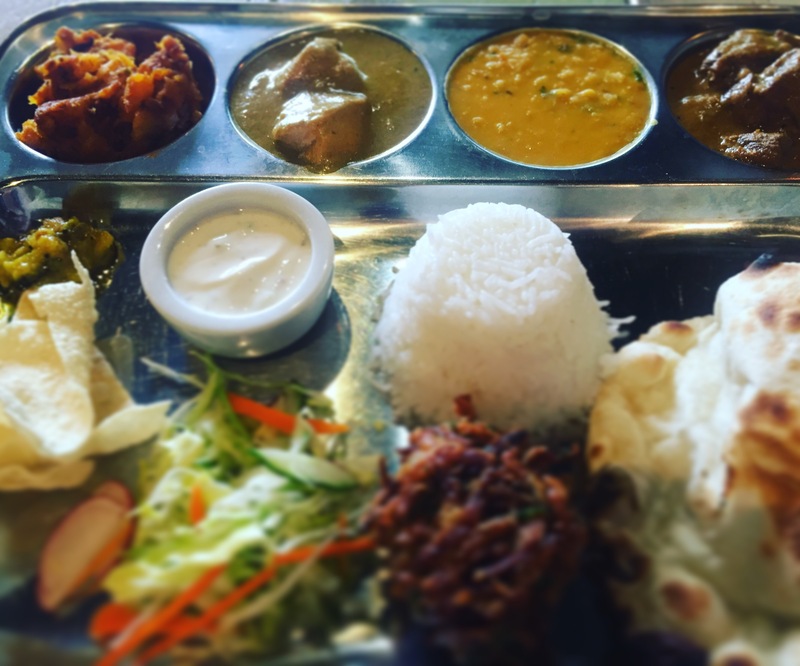 Friday I thought I’d try all the old wives tales… Went for a lovely curry at Chai street, drank some raspberry leaf tea (bit late I know) and started bouncing on the exercise ball! Over the weekend I started to have cramps/period pain-like symptoms but spread over hours. On Sunday I had a 930 hospital appointment just to check my BP and have a second sweep. The midwife put me on the monitor (no idea why – my BP was fine) and measured Bean with her tape measure and wasn’t happy with his size so wanted me to see the doctor in the assessment unit. Cue a 4 hour wait!!! 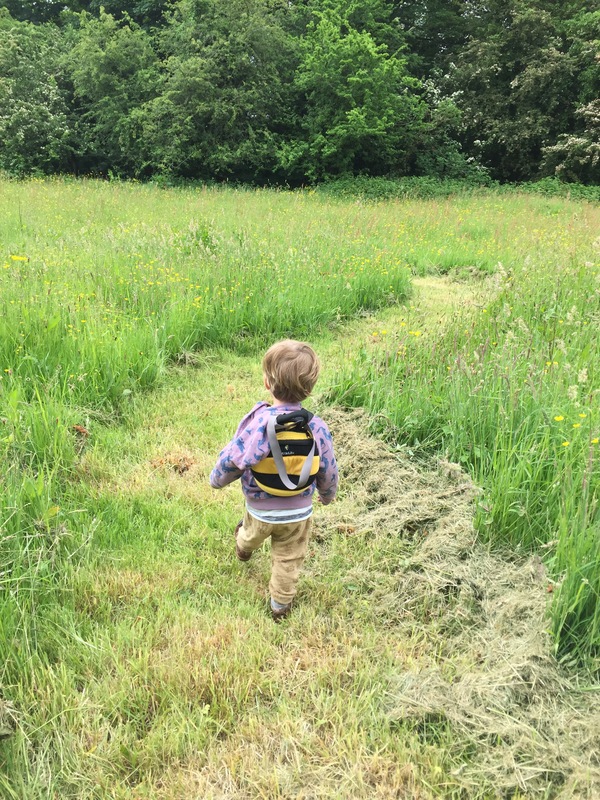 I love the NHS and I was trying really hard not to but couldn’t help but feel frustrated and pissed off sat in a waiting room for so long while my OH and toddler W celebrated Father’s Day without me! I guess it was worth the weight… I got ANOTHER scan and not only was the sonographer totally happy with his size (and said we might be looking at an 8lb-er) but actually took ages over it as she said he was the most photogenic scan she’d done at this late stage! (I think it’s cos I’m very slim). She could also see some vernix on him which was an indication that he still had a few days of cooking to do in there! Top tip: if you have any form of hospital appointment, even if you think you’re just popping in… Take books/mags/phone charger!! Tuesday morning I had my third and final stretch and sweep. As with the previous two, I was 2-3 cms dilated (normal for a second baby) and the cervix was still quite high up. I had the odd cramp throughout the day… And they ramped up late afternoon/early evening and I went into labour that night… Finally! 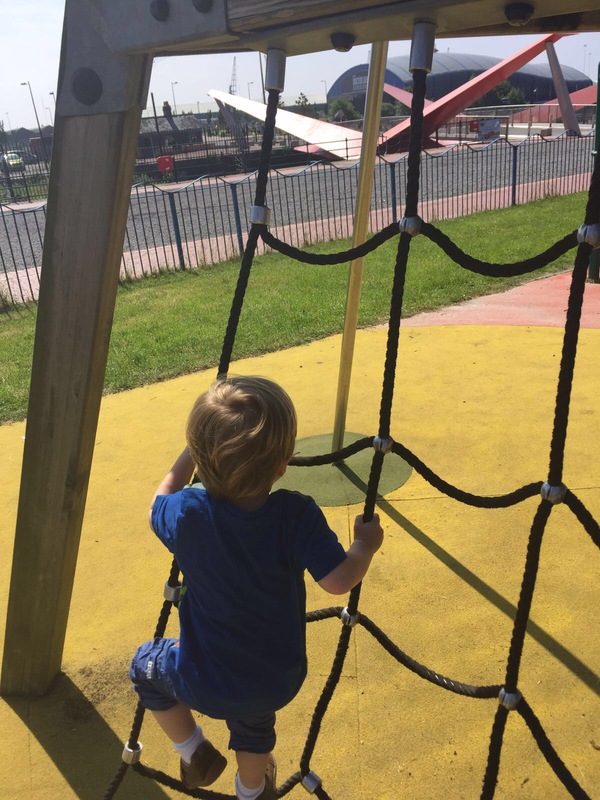 We walked towards the play area on the Cardiff Bay barrage…. We stopped for a coffee at the very cool ‘Coffi co’ which has an outdoor seating area which is pretty much enclosed and full of benches and deckchairs. 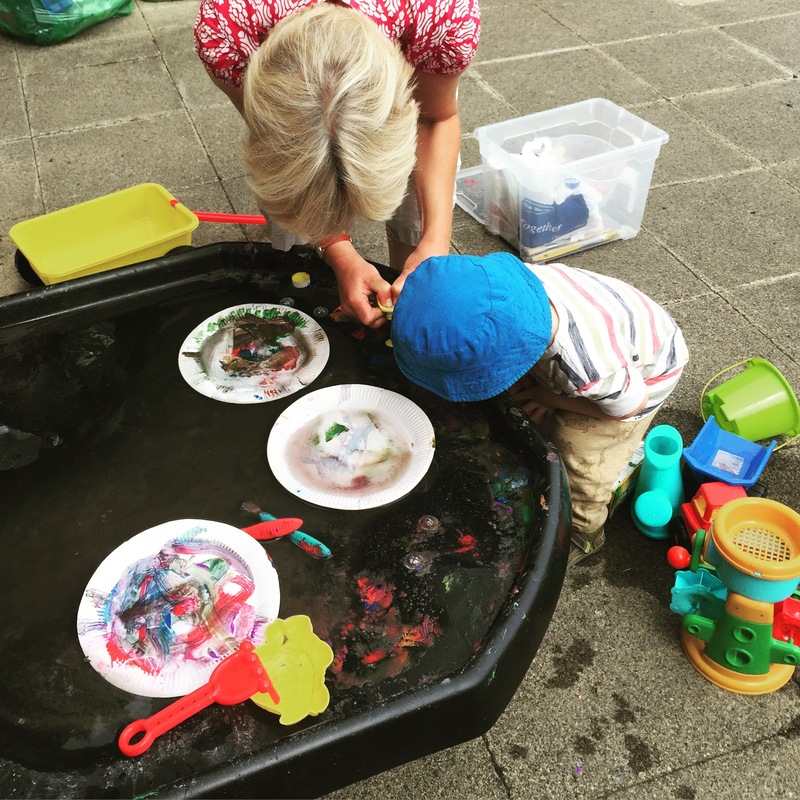 This was lovely…. 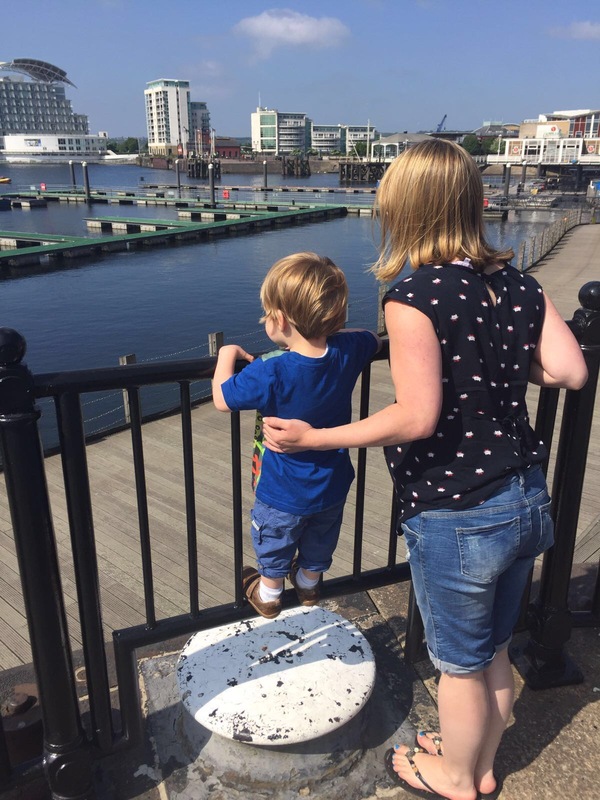 Sis and I got to catch up over a nice coffee in the sun while W could safely play with his cars and transport them from one deckchair to the other… This is the life! 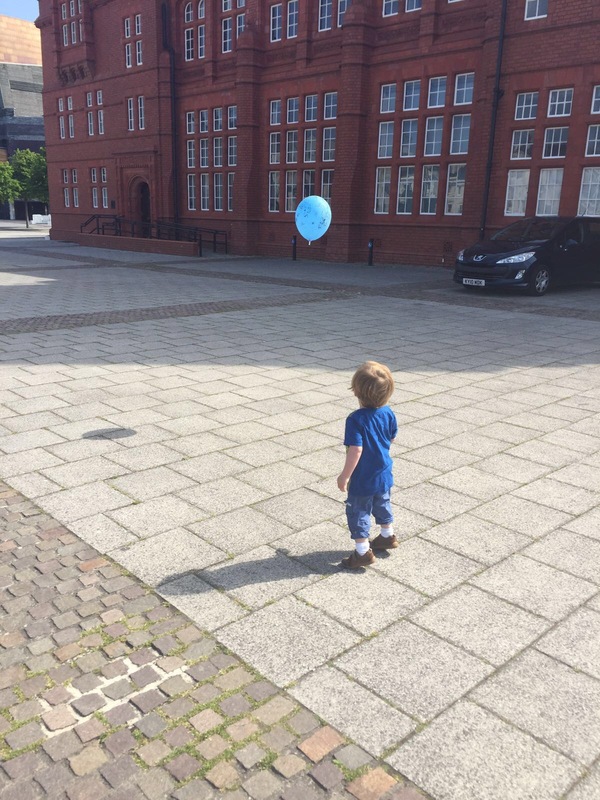 As it was taking us ages to walk anywhere with me being heavily pregnant, and W trying to carry his balloon, we gave up on the plan to walk down the barrage and took him to the little play area behind the Norwegian Church instead. We had fun playing with him, but the funniest bit was when he hid behind a bin. Sis thought he was playing hide and seek but I knew…. He was having a poo! 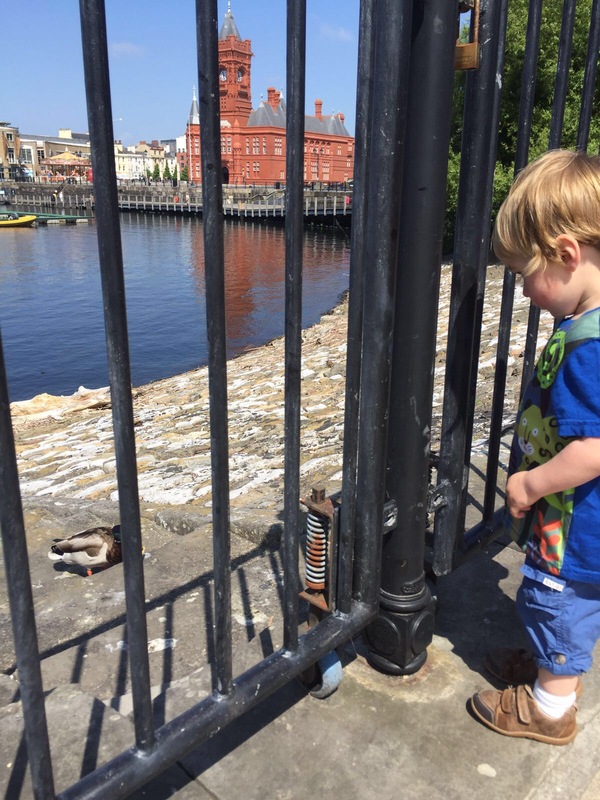 He was as chuffed as always to see some ‘quack quacks’ on the water’s edge, so much so that he fed them all of his crisps bless him! That night, my OH was out at the cricket (sis and I watched ‘train wreck’.. V good!) 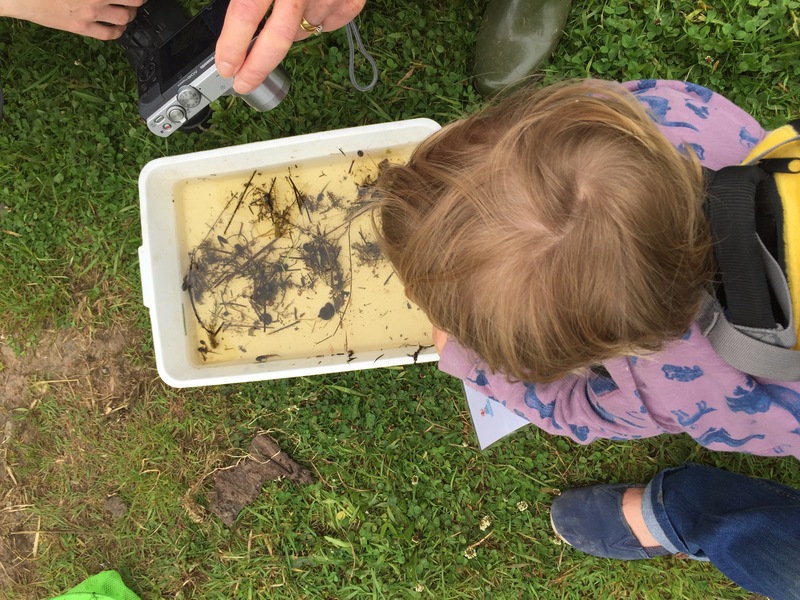 so Saturday morning I gave his delicate head a lie-in and took W to a wildlife day at Forest farm. 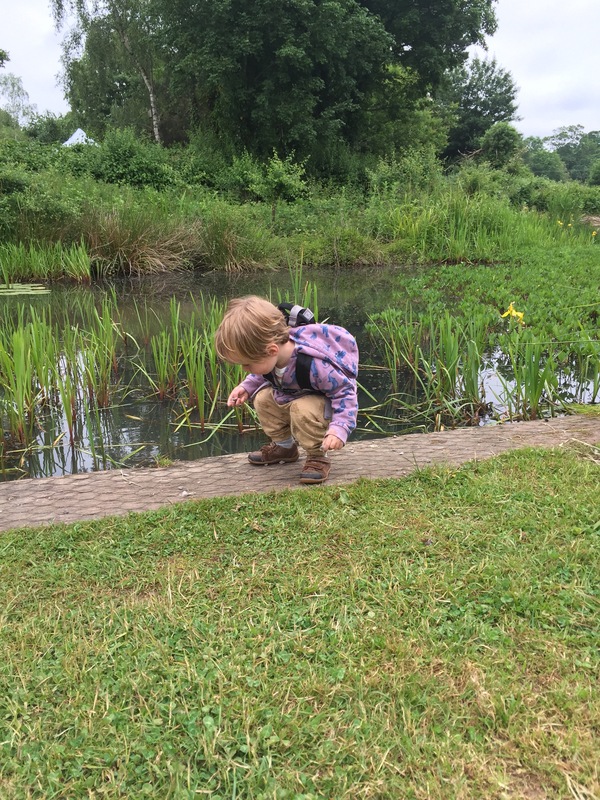 We were a teeny bit early for the event and so were busy throwing stones into the pond…. 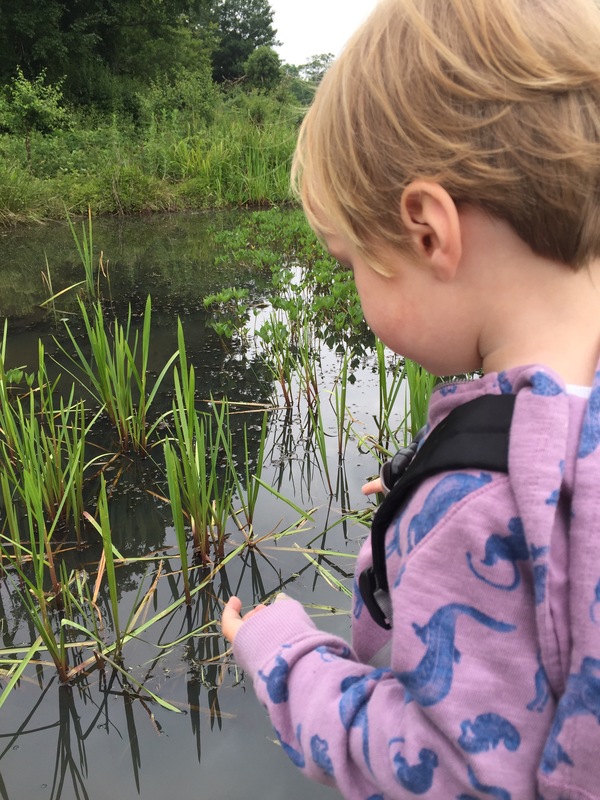 This was cool, we saw lots of tadpoles which W called ‘fishies’ (I don’t think he understood the concept of them being baby frogs!) 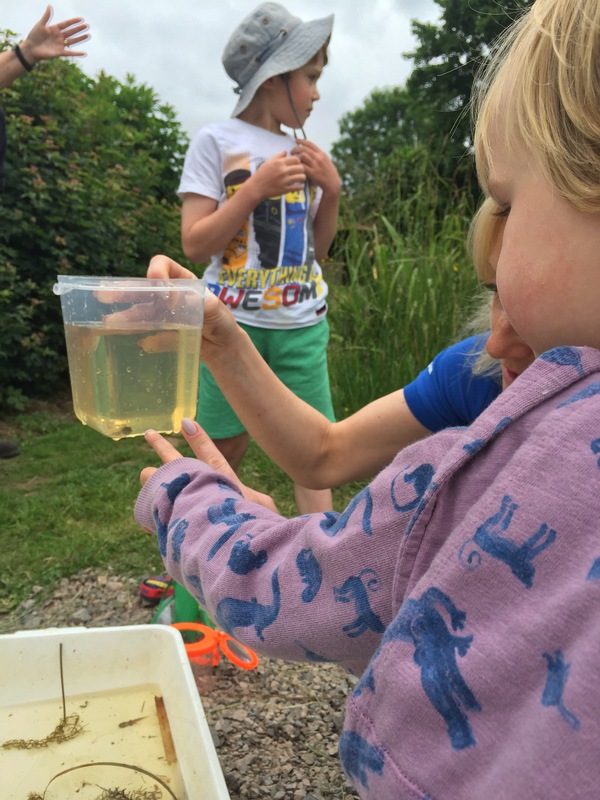 and watched a couple of those tadpoles get killed by insects! It was a lovely little event and I’d definitely take him again. From here we drove a couple of minutes up the road to see ‘quack quacks’ and kingfishers at the old Glamorgan canal but by then he was grouchy so we headed home. It was nice to have some quality time with him. Since then I’ve had less energy as bump has grown, and the weather has been more naff! 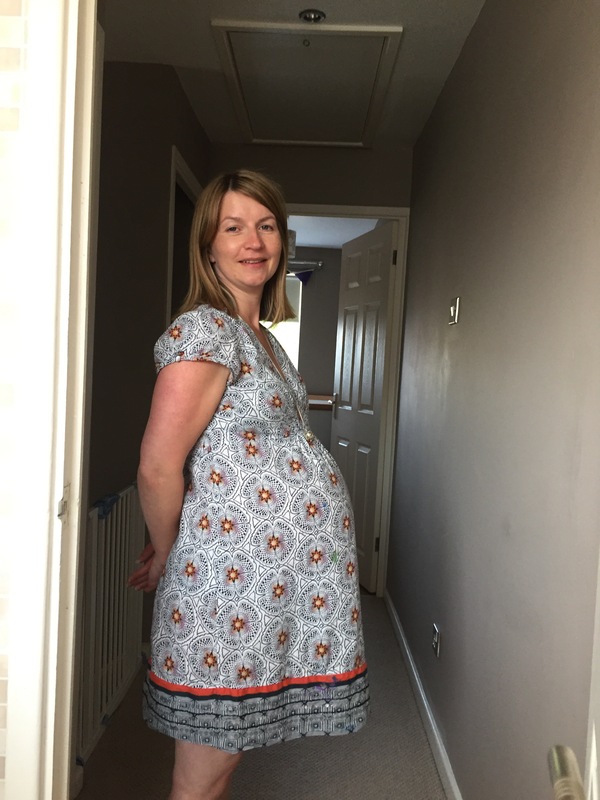 40 weeks pregnant: Due date! 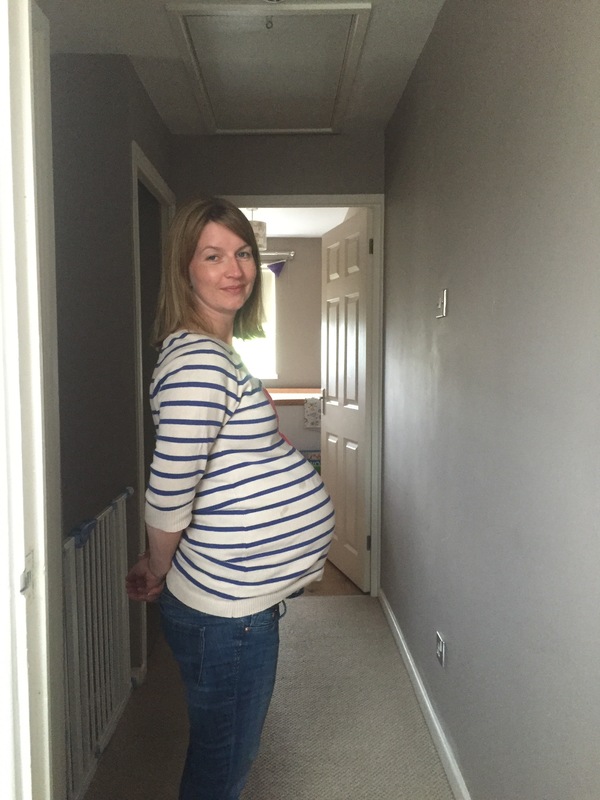 Today’s my due date… And no sign of baby bean! It’s a strange feeling, I was always half expecting to be induced by now, and everyone kept saying your second usually comes early… Yet nothing! Over the weekend I started having a few cramps here and there but nothing serious! The last couple of days I’ve felt exhausted… Not sure of that is a sign of my body getting ready?! *Clutching at straws! * I’m so exhausted I’m wondering how on earth I will find the energy for labour but it must be my body resting before the big event! I’ve got a consultant appointment Thursday, if my blood pressure is high I suspect they might keep me in and induce me that night. Today – as it was D-day my friend suggested meeting for lunch and a browse around our lovely local garden centre, Pugh’s. It was a lovely few hours and a welcome distraction despite my exhaustion! It’s been nice having a bit of ‘me time’ knowing that I might not have it again for a while! And now here I am…. I still don’t feel ready… But I’m not sure if I ever will. I’m hoping he makes an appearance this weekend… Father’s Day would be nice! 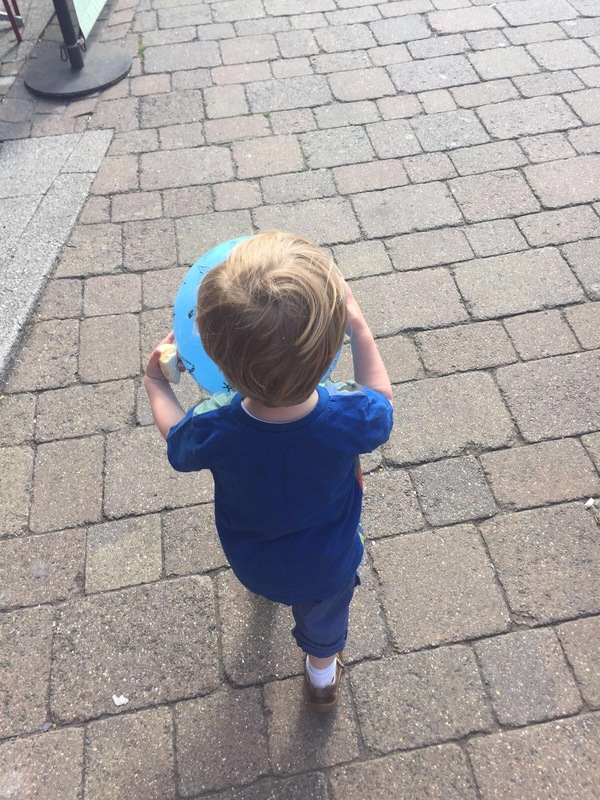 I was reading my old blog posts earlier from when I was expecting W. I was worried about labour, but also whether I’d bond with baby and know what to do. This time around I’m worried about labour, but also whether he’s ok. I’m guessing it’s because this pregnancy has come with a lot more stress, but also as it’s our second, we know what’s at stake! Author yummybloggerPosted on June 14, 2016 June 15, 2016 Categories my regular updates, pregnancy10 Comments on 40 weeks pregnant: Due date! With just over a week to go til the EU referendum I’m so worried about some of the stuff spouted by the ‘leave’ campaign that I feel compelled to write about it…. 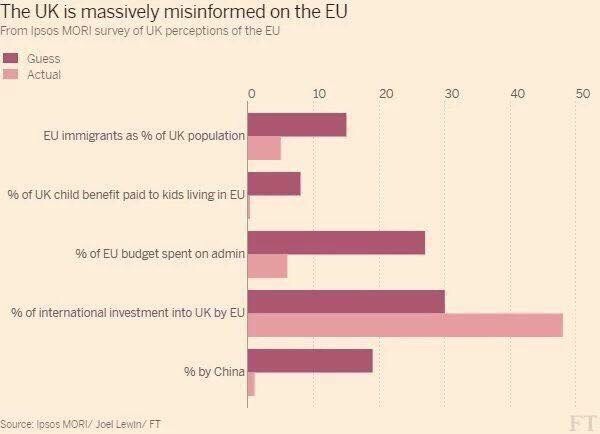 I’m voting ‘remain’ but I’m not particularly pro-remain just so anti-the-leave campaign for the reasons below that are used by them and their supporters…. I’m generally pro-immigration. I see a NHS that wouldn’t survive without immigration because we don’t train enough doctors and nurses. I work for a company that has a French CEO, in a marketing department where at least 10% are ‘immigrants’ (3x Irish, 1xGreek, 1xCypriot, 1xGerman).. All were the best people for those roles. 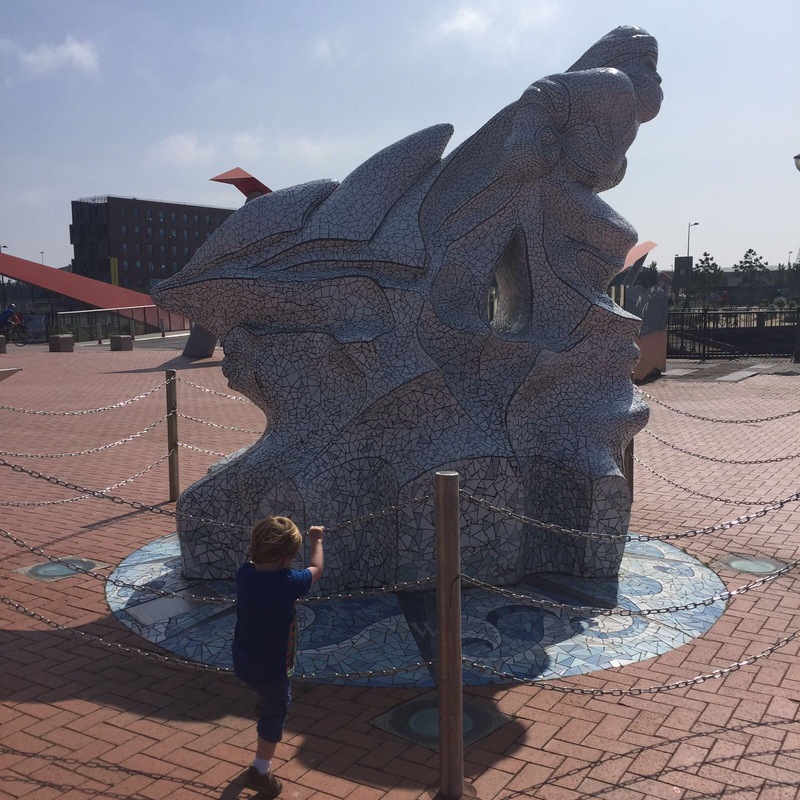 I live in a city (Cardiff) that was at its most prosperous when immigrants (many Somalians) were working on our docks… The biggest docks in the world at the time! But here’s what I’m really confused about. Most of our immigrants come from outside of the EU whether they be Pakistani doctors, Australian bar staff or South American footballers… And we already have control over that… It’s nothing to do with the EU!?? So that points system, we have the power to do that already! Most of the EU immigrants (just 5% of our population by the way) work here and pay into our economy since the recent change that they can’t claim benefits without working here first. Which then leaves illegal immigrants and refugees. Personally I think every country should be obliged to take in refugees who are fleeing war (especially when we are the ones bombing them!) but the UK takes a very small number so I don’t think this is a game-changer for deciding on what to vote. Illegal immigrants and controlling our borders… Personally I think we’d do better at this staying in the EU sharing resources and police intelligence, unless we were to invest heavily in this area. The Vote leave campaign have been told numerous times not to use the ‘we would save £350m a week’ message as its untrue and numerous studies show that the money that comes in more than makes up for the money going out. So how much do we spend on the EU? Just 2% of our overall budget! So if you’re worried about the other 98%…. The NHS, education, pensions, benefits, defence etc then vote based on that in the general election! The NHS is not on its’ arse because it’s over-run by immigrants, it’s on its’ arse because Britain voted for the Tories and their cost-cutting plan instead of the more left-wing parties who invest in public services. Net migration is about 300k a year… Do you really think that a 0.4% increase in population (70 million) can stretch public services to breaking point?! One of the things that has wound me up most about the ‘vote leave’ campaign is that they have NO PLAN!!! Who will run the country with David Cameron having to step down as he promised he would…. Boris Johnson? Ian Duncan Smith? George Osborne? I’m sure they would have different ideas on how to spend the ‘money saved’ but nowhere have I seen what those different scenarios would look like! Or are you hoping Nigel Farage would be in charge? Well he’s not even an MP so it’s impossible! So despite being an MEP who’s encouraging us all to leave, he will have NO POWER to make any decisions on what happens if we do leave!! There are 2 other claims I hear that also piss me off…. Ummm we vote for MEP’s that represent our needs in the European Union. (Nigel Farage is one of them!) They vote for the leader/commissioner…. Ok the European Comission above the EU seems to be a bit like our House of Lords but let’s sort our own mess out before worrying about the EC?? The EU is all democratic in the same way our British MPs represent everyone from rural mid Wales to affluent parts of the South East and deprived inner cities. 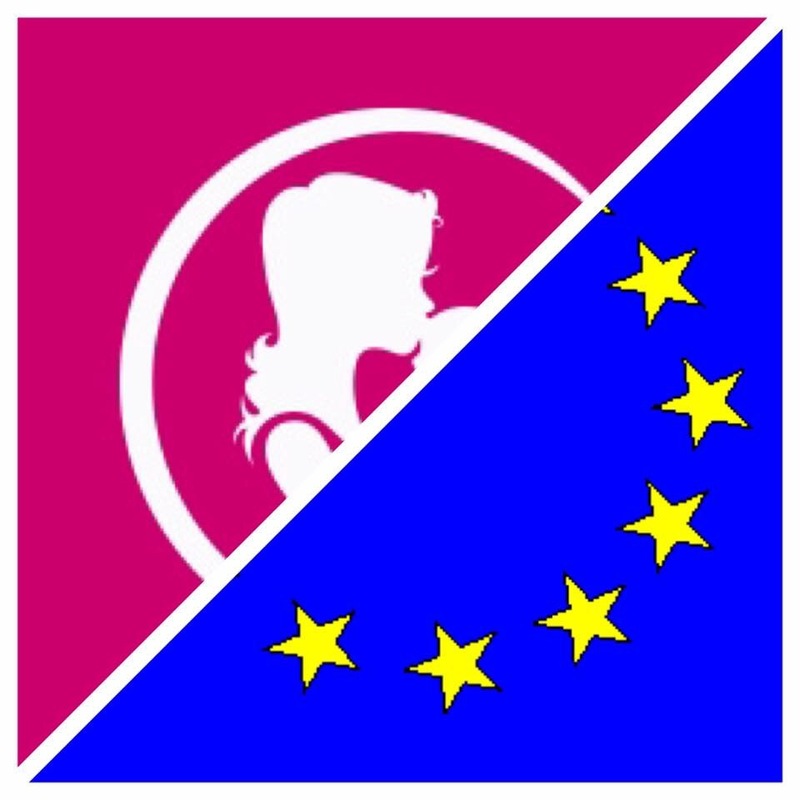 So from now on just take an interest in the European elections and vote! We were also ‘great’ when we were manufacturing everything… But now we live in a globalised world where it’s cheaper for us to get our steel imported from China than to make it ourselves, we import lamb from New Zealand cheaper than we pay our British farmers for it. So how are we going to be ‘Great’ again? Stop importing everything? Re-open all the coal mines? Sounds unrealistic to me, we’re always going to need to import and in doing so I’d rather have the negotiation power of 28 nations behind me rather than one little island! The vote leave campaign is non-sensical, poorly thought out and has given me no assurance that we will be better off outside the EU… There is no plan!! I think there are many ways we’d be worse off outside the EU eg what if the 2 million British pensioners living in Spain have to move back? They will put a bigger strain on our NHS than any threat of immigration growth. Coming from mid Wales originally, my home county (Ceredigion) and the South Wales valleys are classed as some of the poorest parts of Europe and have benefitted hugely from EU funding and projects. Again, in the absence of any plan, I haven’t seen any assurances that Wales would get any additional money from the UK govt to make up for the £20Billion shortfall that’s already been allocated to Wales from the EU by 2020. Today I’m 39+1 so just 6 days to go til due date! Thursday I had another scan and consultant appointment and good news, this time I had a laid-back doctor who didn’t think my BP was an issue and the growth curves were looking fine. So good news as they don’t want to see me again til past my due date now… And hopefully Bean might be here by then! I was quite surprised, I assumed on Thursday that they’d be booking me in to induce me, as happened last time. I know that could still happen, but there’s a greater chance I will go into labour naturally at home or whatever which is a weird feeling! I STILL don’t feel ready for his arrival!! I feel a bit in denial, still haven’t done much (any!?) labour preparation, no breathing exercises etc! Instead I’ve been very busy nesting, which I’m enjoying… Lots of sorting out, throwing out, creating space, re-arranging etc! I’ve gone over the 2 stone weight gain mark now! So that’s it for now… A short and sweet update, the next few days promise more nesting and resting… No signs that Bean will be here any time soon but watch this space! With just over a week to go I’ve finally finished packing my hospital bags. 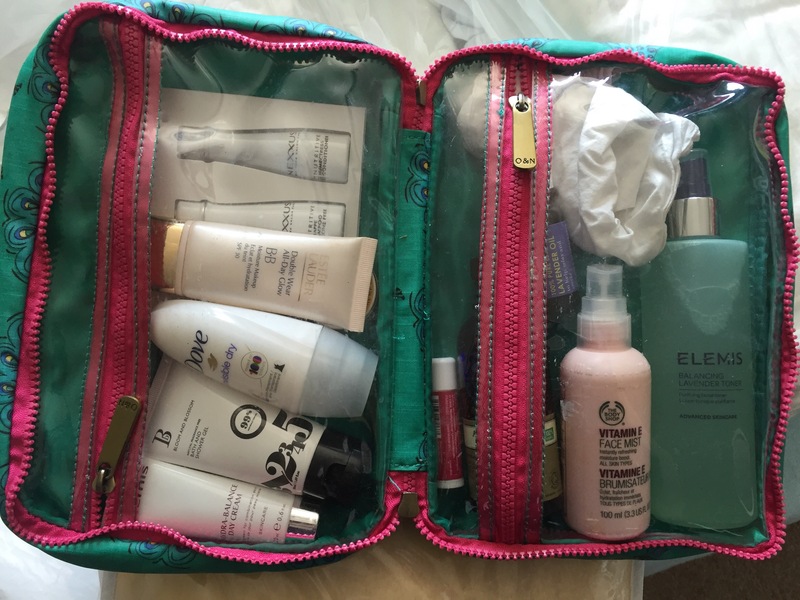 Now last time around I packed a lot of stuff, got taken in and induced early (without my bags) so I didn’t really end up using much that I’d packed… I also didn’t shower there so didn’t use any of the toiletries! Elemis lavender toner spray and Body Shop vitamin E face mist… Both blissful! Plain massage oil – doubt I will use it but just in case I demand a back rub from my OH! Sanctuary foot and leg gel – another blissful treat for aching legs and cankles! Just realised I need to pack my toothpaste and toothbrush too! And a hairbrush! 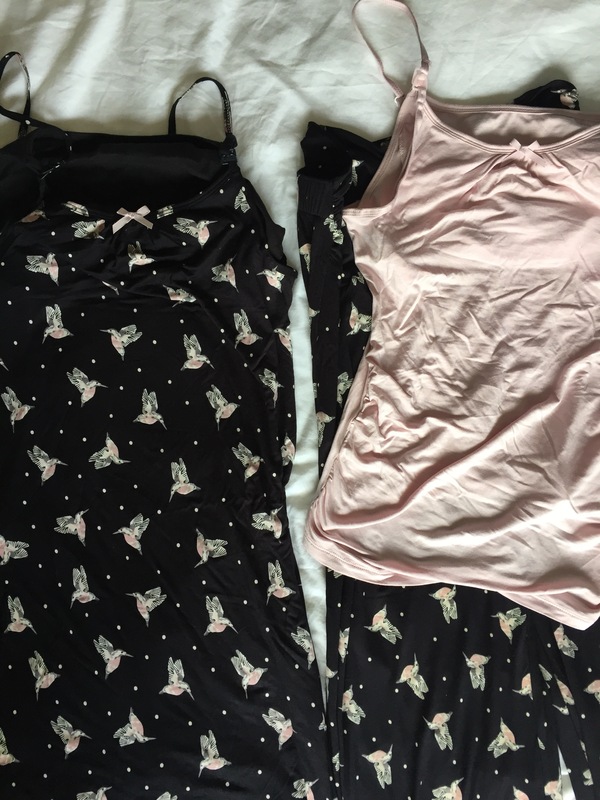 Clothes to go home in – lounging bottoms and a t-shirt! Paracetamol – a friend gave me this tip last time around, they can come in handy post-labour as you could literally be waiting hours for your prescription to come through! But on the more exciting side I’ve packed a brand new nighty and pyjamas that I bought in the M&S sale for a total of £15… Lovely bird print, been saving them to wear for the big event or just after as I was in totally scruffy old stuff last time! Now for baby’s bag. 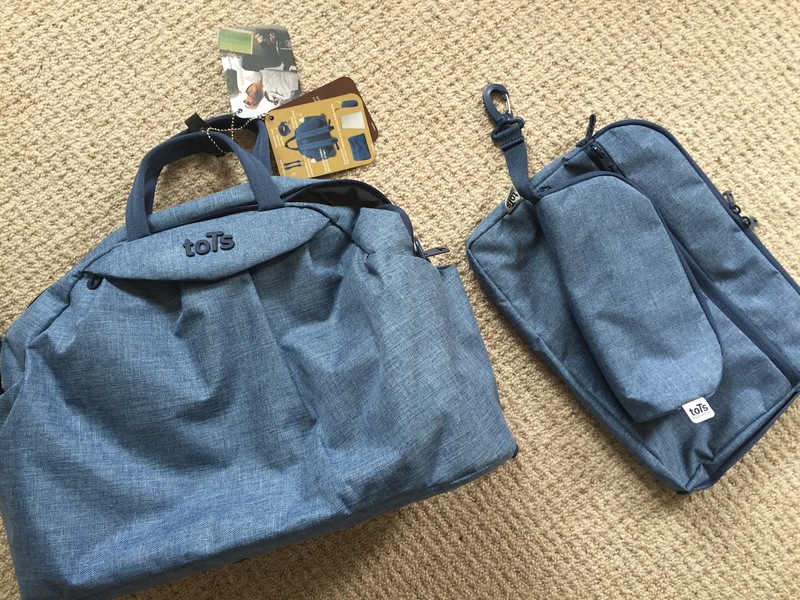 This is a brand new bag we were given by toTs by Smartrike, I’ll do a proper review once we start using it properly but in the meantime I must tell you I’m really impressed with it… High quality/finish and bags of space! 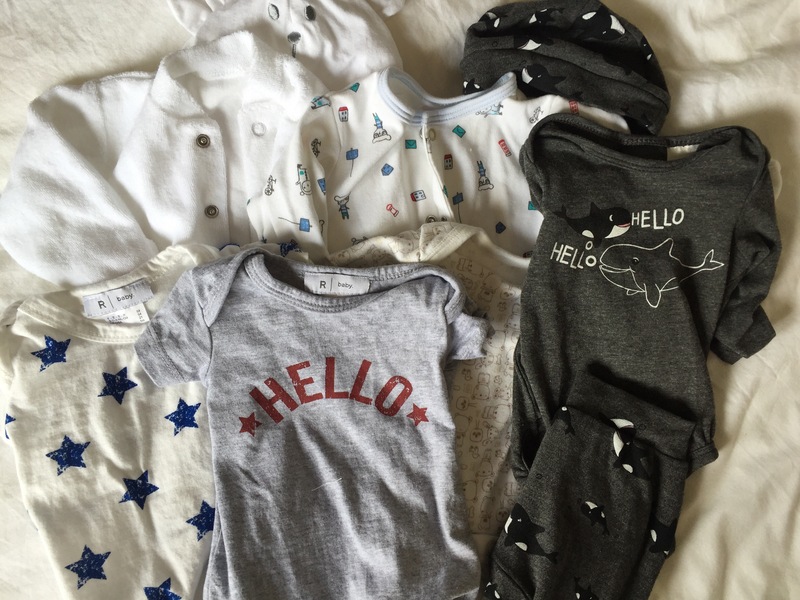 A selection of newborn clothes – couple of vests, couple of sleepsuits, couple of outfits… Should cover all weather eventualities! The sleepsuits were worn by W as a baby, the other items are brand new and featured in our recent haul post if you fancy a closer look! 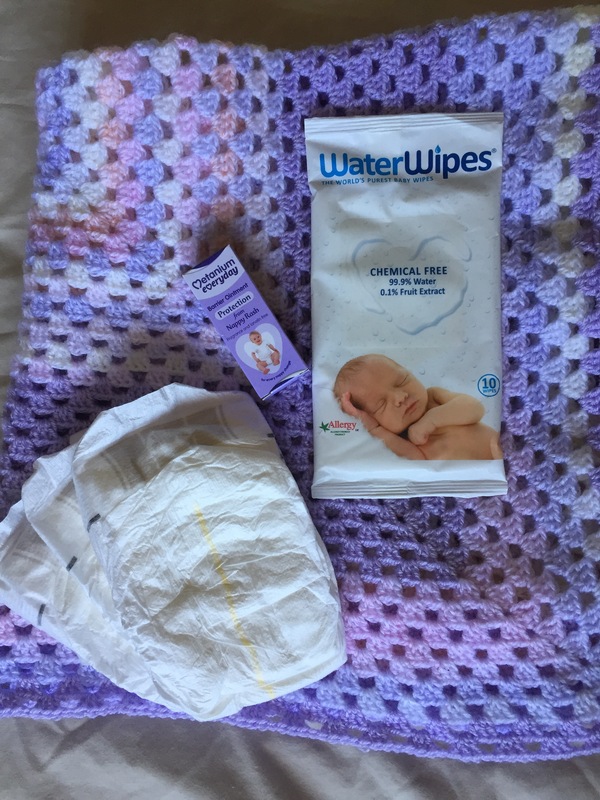 Wet wipes – A travel pack of water wipes – we were also sent these to try which I’m really looking forward to trying, should be less faff than water and cotton wool! Cotton wool just in case! If I end up being induced again I’ll take another bag packed with books, magazines, my iPad and lots of snacks! Anything I’ve missed? 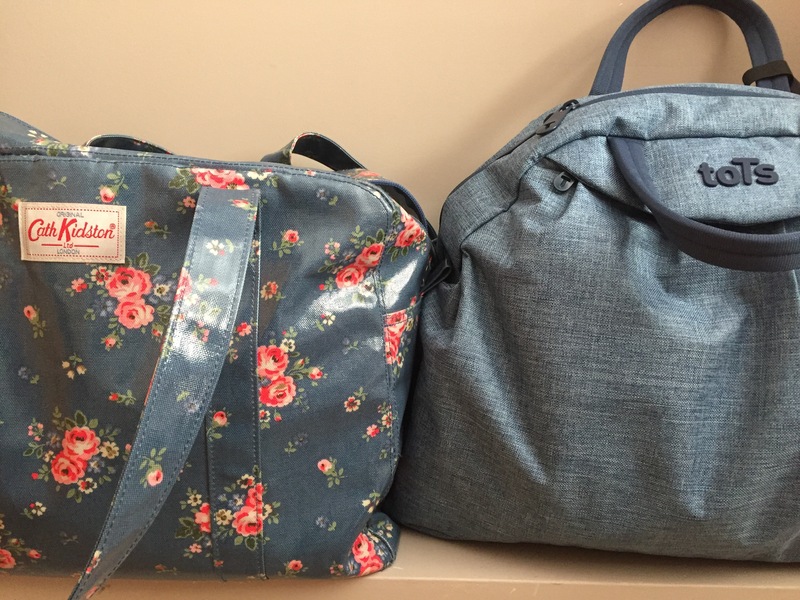 What was in your hospital bags? !